Indmeas story begins in 1986. 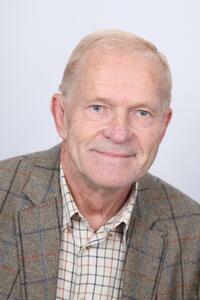 Risto Kuoppamäki worked as group manager at VTT’s radio isotope technology (industrial applications) -research group. The group developed various tracer applications for researching and developing industrial processes. Field calibrations of flow meters seemed to be so attractive and necessary that Risto, together with his partners, founded Indmeas Oy for commercializing the set-up. This is how Indmeas got started. Indmeas was active from the very start both in Finland and Sweden. This was possible, when Risto’s wife”Ami” joined the company to drive the sales. She was fluent in Swedish and very determined, and therefore the Swedish clients gave her a nickname “Järnfru”, i.e. “Iron-lady”. Entering the Swedish markets proved to be a great choice, since in early 90s Finland was struggling with recession and industrial buying was paralyzed in the country. Indmeas passed the difficulties by growing the business in Sweden. Indmeas developed and grew steadily. In early years, Indmeas got in challenges with flow meter producers: “who’s got it right – the flow meter or tracer measurement.” The fights were over in 1994 when Indmeas obtained accreditations for its field calibrations. The Indmeas employees mostly have the education of M.Sc. and they know analyses methods together with field work. This ensures that all the conclusions and recommendations are always based on metrologically qualified measurement quality validation chains that cover field equipment. In 2010 fast development of digitalization started to change Indmeas’ business landscape. It created whole new dimensions for co-operations with customers. Spreading the data over network enabled Indmeas to validate process data quality on continuous basis, as well as to utilize digitalization for continuous improvement of customers’ process efficiency. And the story has just started. On the day this story was written, Indmeas has signed continuous partnerships with more than 20 customers.